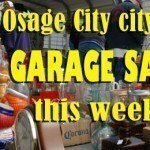 Osage City’s citywide garage sales will be on April 20 and 21, 2018, hosted by the Osage City Chamber of Commerce. Anyone who would like their sale to be listed on the map can contact Casey’s in Osage City or Jodi Smith at Vintage Park of Osage City. There is a $5 donation for a name and address to be listed on the map, with collected funds used for a scholarship for a graduating senior from Osage City High School. The deadline to have a sale listed on the map is 8 a.m. April 17. For more information, contact Jodi Smith at Vintage Park of Osage City, 785-528-5095. 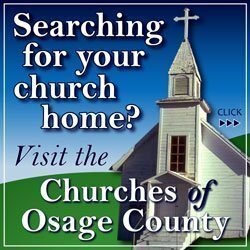 Other citywide garage sales dates scheduled this spring in Osage County include: Burlingame, April 7, contact Ron Shaffer, 785-654-3596; Carbondale, April 14, contact Alice Smith at Carbondale City Library, 785-836-7638, Osage City, April 21, contact Jodi Smith, 785-528-5095, and Overbrook, April 28, contact Jennifer Anshutz, [email protected]. 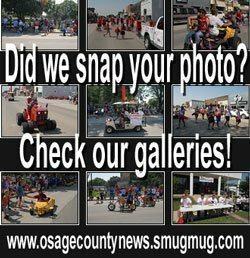 Remember garage sale ads are always free at Osage County News – just post your own garage sale information on County Comment, where everyone in Osage County can see it.